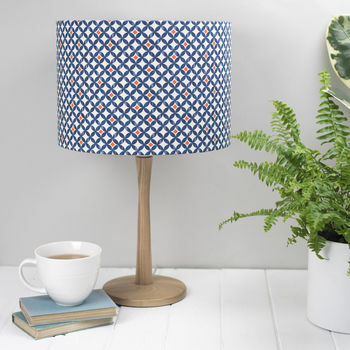 A geometric design with shades of indigo blue and orange feature on this contemporary lampshade. Perfect for a modern interior. The Safiya fabric is part of our 'Cadiz' fabric range, which uses a palette of indigo blue and orange to construct a striking range for your home. The other fabrics are titled Alta, Marisol, Isabel and Paloma. The colours and pattern used will help to give a Mediterranean feel to your rooms. 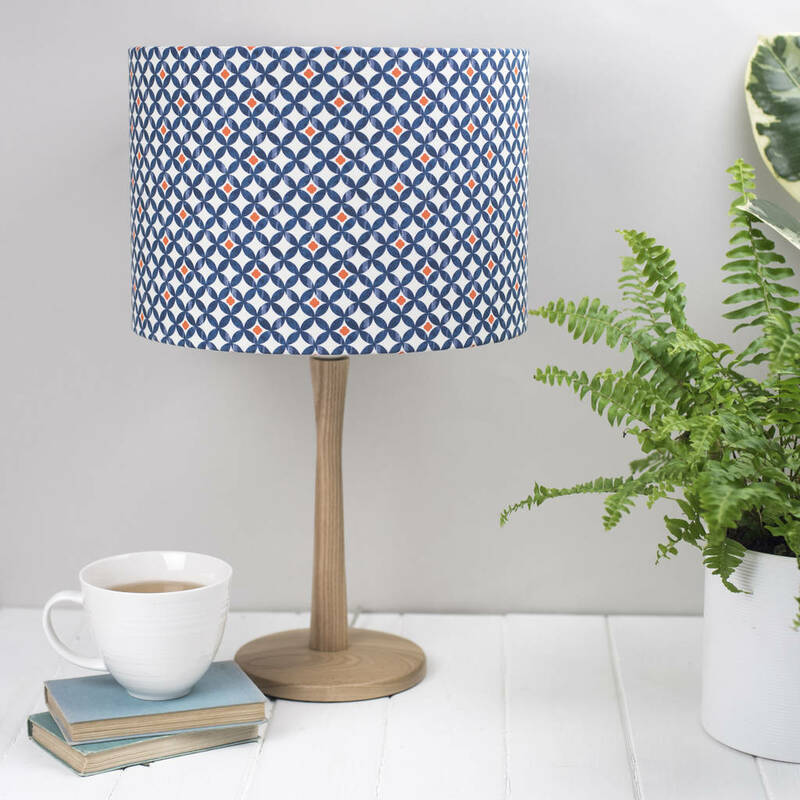 The patterns are designed in Devon and our lampshades are hand rolled in our Dartmoor studio. Our lampshades fit a standard bayonet cap lamp holder and also have a removable insert that allows the shade to fit an edison screw lamp holder. You may also choose whether we make your lamp with a pendant (hanging from the ceiling) or lamp (attached to the base from below) fitting - please make your selection from the menu. 20cm diameter x 18cm high. 30cm diameter x 21cm high.